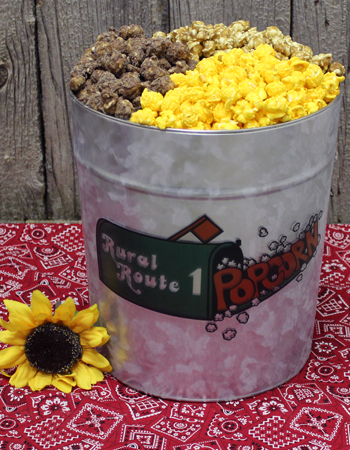 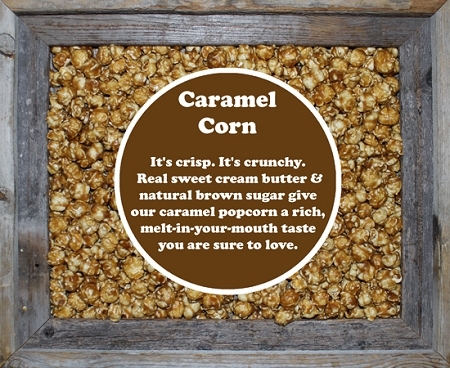 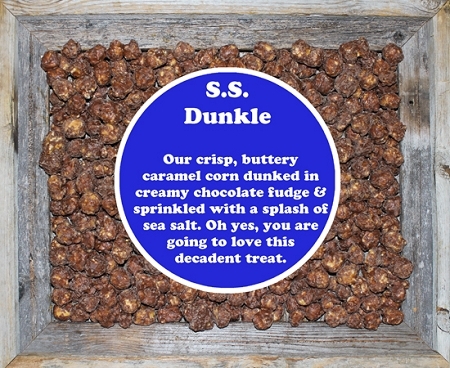 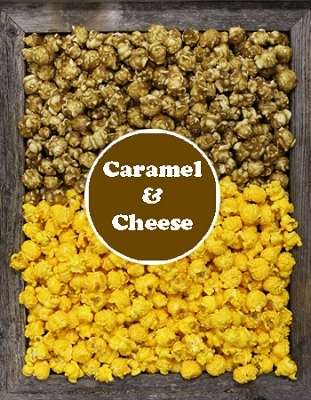 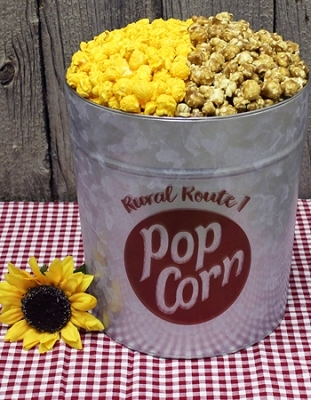 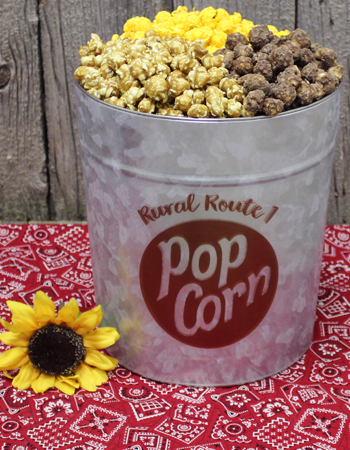 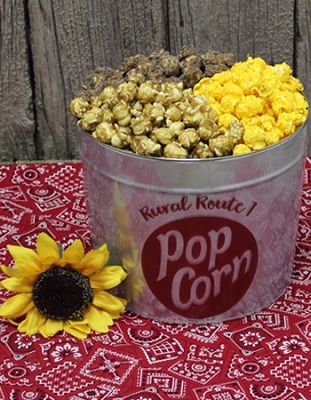 This 3 gallon Signature Rural Route 1 Tin features 3 of favorites - Our Wisconsin Cheddar Cheese, Old Fashion Caramel and our S.S. Dunkle - Caramel Corn covered with Dark Fudge and sprinkled with Sea Salt. 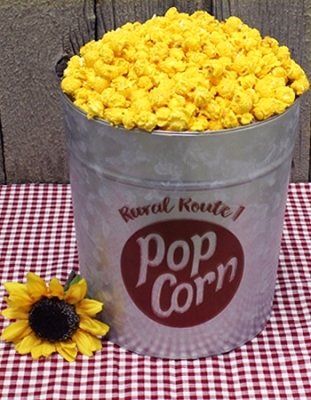 This tin contains approximately 61 cups. 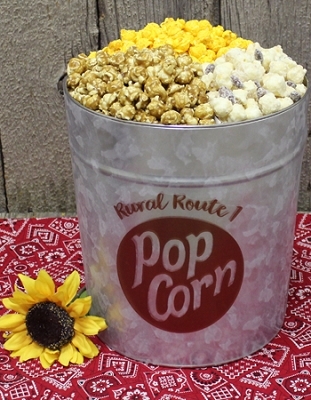 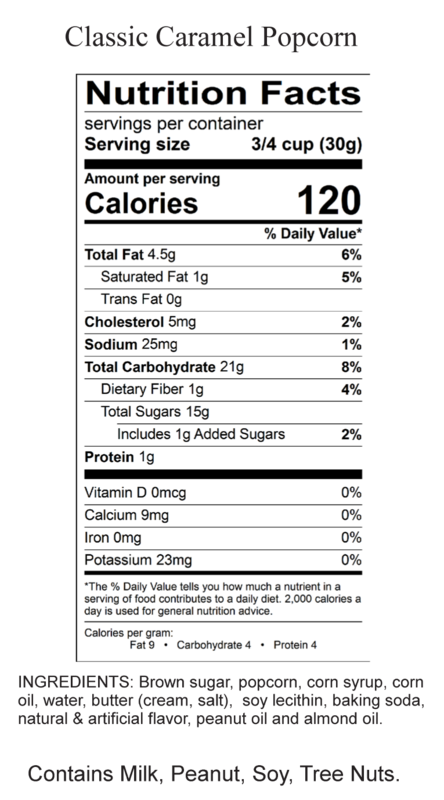 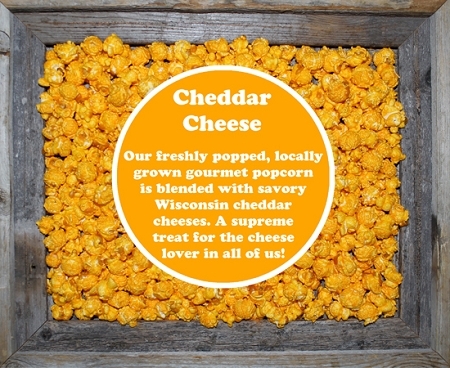 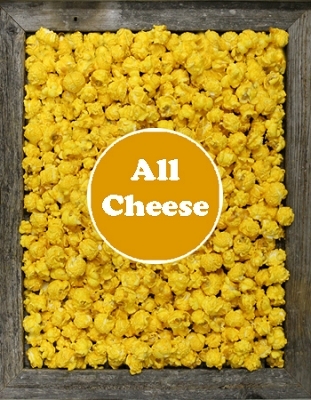 Sure to please all the POPCORN LOVERS in the house!